A tourist railroad along the beautiful Chester Creek Valley in Southeastern Pennsylvania. We offer a variety of nostalgic 90 minute train trips. Throughout the year, West Chester Railroad offers many different special events for our riders. Take a trip back to a simple time along Chester Creek in Chester County. The West Chester Railroad runs between Market Street in West Chester, Chester County and the village of Glen Mills, Delaware County, Pennsylvania. You will forget that you are only 30 minutes from the hustle and bustle of center city Philadelphia. 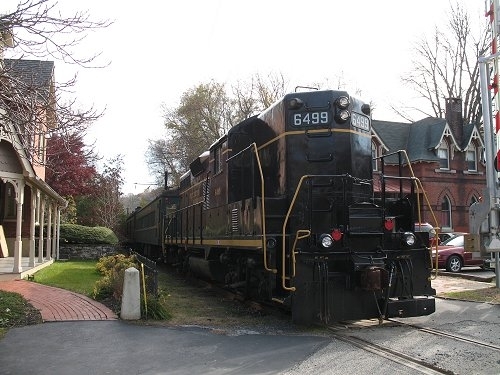 West Chester Railroad offers several rental options for many different gatherings. Our dining car is available for birthday parties and other events. You can even rent the entire train for your event! See our website for more information.